monochromfilm » we love colours! Short documentary for the European Academy Berlin is finished! The project known as Baladiya – New Paths in Urban Development addresses Algerian, Moroccan and Tunisian experts in the field of urban development, experts dealing with urban development at conceptual, administrative, academic or political level. Cäptn Krause, Sebo and Fabian – three Germans on tour. What’s up? 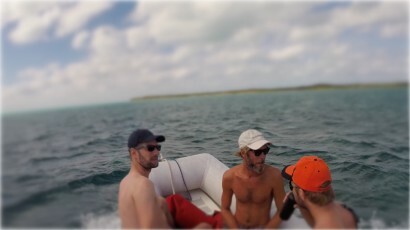 Sailing adventure in the Caribbean Sea! Cäptn Krauses has a sailboat from the 70s – the Gypsy Spirit. On the Gypsy Spirit the three friends embark on a legendary trip to explore the Bahamas. Challenges lurk everywhere whether on the high seas, in the board kitchen or at the beer pull. A holiday which is a never ending struggle for survival. The 360​​° Boxing-Documentary A GAME, A FIGHT, A DANCE! is launched. 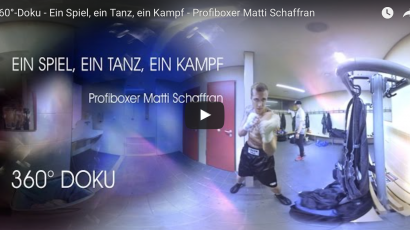 Matti Schaffran is professional boxer. He wants to prove himself in the boxing scene. The 360 ​​° Kurzdoku accompanies Matti on his way to the I.B.F. title fight in the middleweight. VR glasses on and submerge! The sound of Chloe Charles is unique: Pop, Jazz and Indie blend into an emotional mix. With the ballad “Black and White” the Canadian is working on the relationship with her father. Monochrom Film produced the video for this song. Babbel and monochrom film did it again! 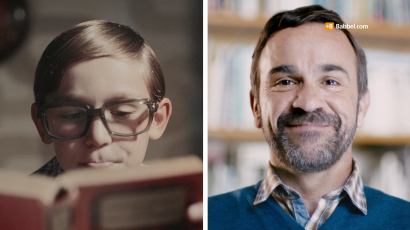 For the second flight of their TV commercials, Babbel relied on the production company Monochrom Film again. Director Navid Abri and DOP Ralf Noack, winner of the 2015 German Cinematography Award, brought a history of learning languages to life. Their protagonist’s journey from troubled school days in the 1960s to the comforts of today’s e-learning will be shown in Europe, Northern America and Australia. Lina, Barbara, Peter and Lucas from Berlin are between 23 and 71 years old. They all have one goal – they don’t want to be a single any more. Director Romy Steyer follows the four protagonists at their virtual hunt and real dates. 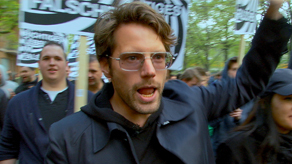 The 85-minute documentary is developed and produced by monochrom film together with the ZDF. monochrom film produces films for television, cinema and internet. From challenging feature films and documentary projects to refreshingly uncompromising commercials: we are reliable partners and dedicated producers. 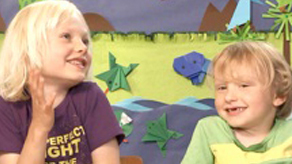 One of our most important branches is the production of commercials, corporate and promotional films. We develop tailor-made strategies for your brand and take care of the production from beginning to end. Would you like to have an external partner for certain parts of your media campaign? Put shoots and postproduction in capable hands? We bring your project to its full potential – across all production stages. We offer you a package deal from which you can choose your modules. If you want a reliable partner to develop a larger scale local or international project with, you are knocking on the right door. 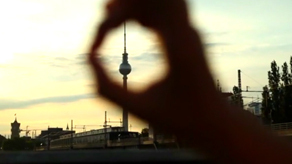 Berlin is a great creative hub – get in touch! Are you looking for ideas for your idea? We can support you with our pool of freelance creatives, advise you in the realisation process and shape your vision. The playground without boundaries: from web platforms to online games, music or book publishing and film, all in one project – we are happy to consult you! The sum of all colours is black or white. We are monochrom film, a film production company from Berlin that connects all elements of the media spectrum. We see ourselves as storytellers, whether in the form of documentary, commercial, fiction film or crossmedia. Whether it’s about people, places or broader issues, we want to take the audience to new worlds, inform, inspire and move them. We want to make complex topics accessible and turn brands into experiences. With over 15 years in the film industry, we know how to successfully complete a project. And it is our ambition to do it better each time. We are passionate team players – in every discipline, in every position, in every challenge. Born in Rostock, Sebastian holds a degree in Film and Media Production, with focus on Creative Producing and Documentary, from the Film Academy Baden-Württemberg. Over the past years, Sebastian has been supervising internationally produced and critically acclaimed film projects. Navid was born in Berlin to a German mother and a Persian father. He holds a Bachelor’s Degree in Directing from the Film Academy Baden-Württemberg. Navid is interested in life stories and different film genres, and uses his experiences in postproduction for his own visual language. His commercials were shown in international festivals, among others Cannes and New York. ©monochrom film abri & naumann GmbH. All rights reserved. Disclaimer: Although we make every effort to ensure that links are reliable, we cannot take responsibility for the nature, content and availability of pages maintained by external providers. All rights are reserved. Design, texts, images and programming of the website are copyright protected. The use of contents of this website in any form is prohibited, except with express written permission of monochrom film Abri & Naumann GmbH.